Free shipping and a 30-day guarantee...what more can you ask for? 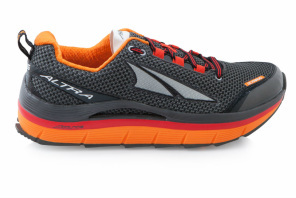 Seriously, Altra is the best shoe out there! At the moment, our favorite are the Olympus! 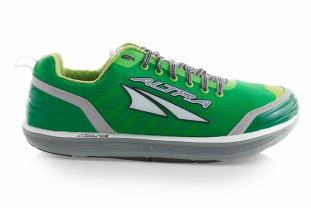 They have the cushion that your body needs, they're super light, and they help you run the way you were designed to run! 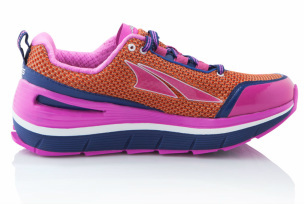 Hit the rugged, winding trails or the open road with the first max-cushioned, Zero Drop™ crossover shoe designed specifically for the female foot. 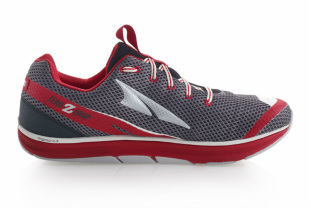 The Olympus™ utilizes its max-cushioned Zero Drop platform and foot-shaped toe box to place your foot in a natural position for more speed, stability and comfort. While the two-layer A-Bound™ cushioning protects your feet from the rugged trail and open road, we still recommend learning and focusing on proper, low-impact technique. And because a max cushioned shoe reduces the workload on the feet, foot strengthening should be done to keep the foundation of the body strong. Run through nature as nature intended you to with the new Olympus. Inspired by Lone Peak, one of the rockiest, toughest mountains in the Wasatch Range, The Lone Peak™ was designed to conquer the Wasatch 100. 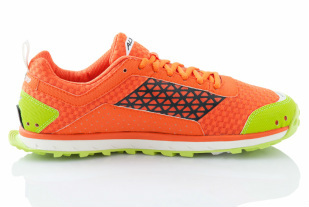 While the foot-shaped design allows athletes to stay relaxed and comfortable for hours, this do-everything mountain shoe promotes happy feet, increases ankle stabilization and improves form with the Zero DropTM platform. The Lone PeakTM features an innovative, sandwiched StoneGuardTM system that deflects rocks into the midsole for a smoother, more stable ride. 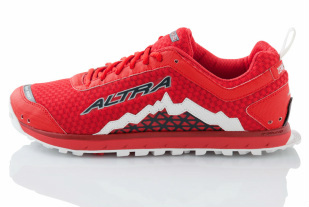 Stand above the rest with the ultimate trail running shoe. 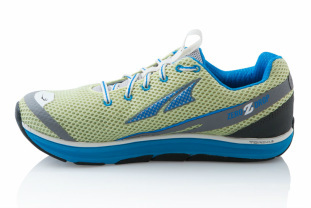 Tackle the trail in the shoe built to race the Wasatch 100. With a female-specific design and the toughest trail running features a shoe can offer, The Lone Peak™ was made to promote happy feet for incredible performance. Featuring an innovative, sandwiched StoneGuard™ system, The Lone Peak™ deflects rocks into the midsole for a smoother, more stable ride. 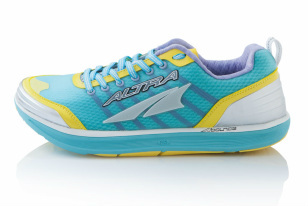 It's the ultimate trail running shoe made specifically for women.